Depending on where you live, back to school starts anywhere between 2 weeks or a month from now. No matter your location, many children start to have back to school jitters. Whether the anxiety is due to a transition year or returning to a place with not so many great memories, many parents don’t know how to help their kids. With this in mind, let’s chat about how to help your child cope with the emotional highs and lows of returning to school. Many of my students are nervous about returning to a new school year. They can’t wait to see their friends, but returning to school work can be nerve-racking. 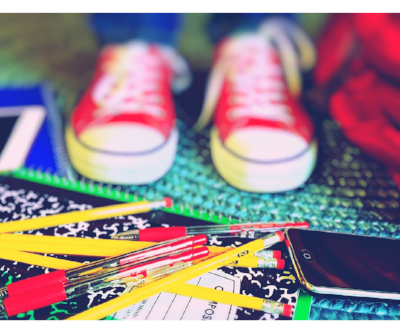 For some kids, back-to-school jitters can be crippling, but as a parent, you don’t have to feel clueless. 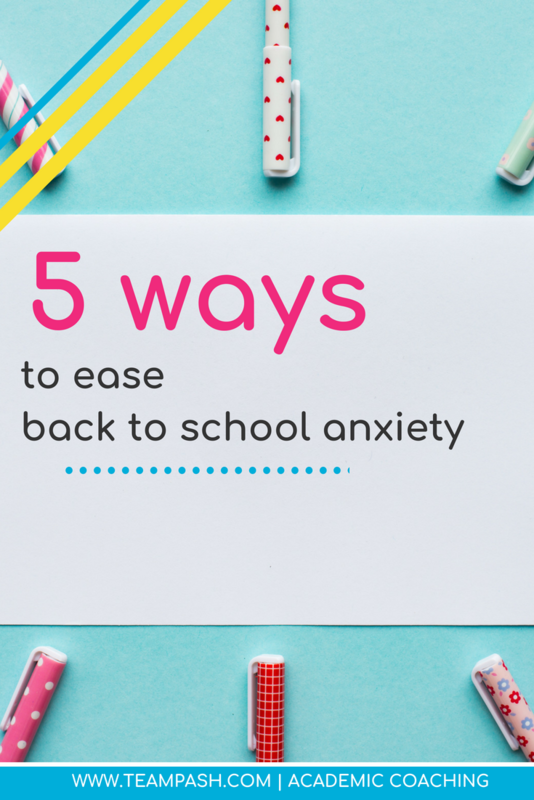 Below are five ways to help your child manage the back-to-school-nerves. Kids respond to back-to-school anxiety differently. Keeping an eye and ear out for some common signs can provide chances for conversation. Begin by watching how your child reacts towards the end of the summer break. Are they excited to return to school or does there seem to be some apprehension? 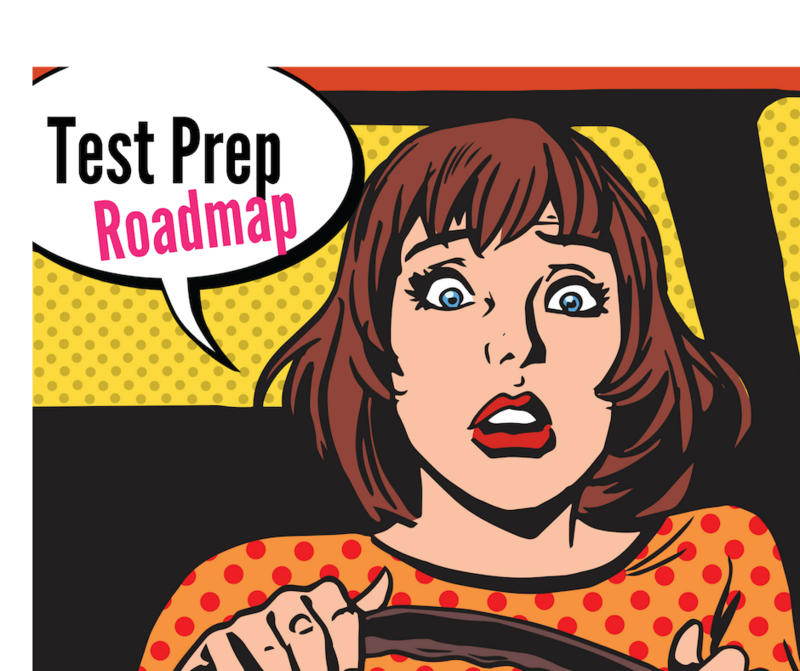 Gauge the level of resistance and its source to determine if back to school nerves are the cause. If your child tends to clam up when things get tough, try to explore what is happening without prying. Another common symptom of school back to school nerves is sudden health problems. As school gets closer are they complaining about frequent headaches and stomachaches? Sometimes that can be a symptom of anxiety. Finally, look at your child’s irritability. Yes, crankiness can be common to that age group, but is it becoming sharper and without provocation? There may be something underneath that is causing this reaction. Create a school routine if you want to help your child handle back-to-school-nerves. Everybody loves summer because of the freedom from the daily grind, and kids aren’t exempted. Summer allows late night and late mornings. One way to reduce anxiety is to return to a schedule; Get back to the fixed bedtimes, breakfast times, and other daily patterns. While your kiddo might complain about the old routine- it’s important for them to get used to this change of behavior. Even if you have every intention of practicing school work over the summer, it often does not happen. The reality is that summer is a time for play and family time. Having your child start to get their brain back in shape is a good way to reduce anxiety. Make sure that summer reading is finished or study skills are sharp. As a parent, I want to solve my daughters' problems. However, you really should listen more than you talk. Allow them to tell you how they feel about the coming year and show them that you truly understand by listening. Don’t say “everything will be OK” and then move onto the next topic. Listen without fixing and allow them to vocalize their concerns. Promise them that you’ll always be there and ask them if they would feel better if they made a plan. If they say yes, consider reuniting with old friends. Check out local venues for back to school events. Our local skating rink has a back to school bash that draws many students and familiar faces. Remember, this falls under a solution and should only be offered after asking their permission. If you are returning from a rough school year, having a solid team in place BEFORE the crisis hits, is best. As a former school counselor, I have seen students and parents wait to receive the progress report before reaching out for help. It’s much easier to have that support in place before you have bad news! If your child’s anxiety stems from grades and academic confidence, don’t hesitate to schedule a call to see if academic coaching is the best fit. Having an academic coach provides a safe space for your child to strive for academic success and discuss academic anxiety. By following these suggestions, you are set up for success in helping your child have a positive start to the school year! If you have further questions about academic coaching, let’s schedule a time to chat!